Balvenie’s virtual whisky shelf. Is it any good? 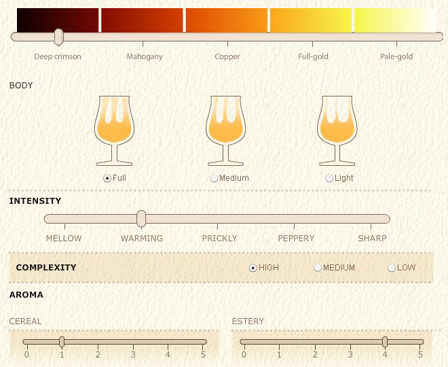 The Balvenie website has a new flashy addition: The Whisky Shelf. Just a few words on what the idea is about. Is it all just about scoring your whisky? No. You can also go through a full sensory evaluation of selected malts and create detailed profiles which will be visible to other users. Again: fancy! 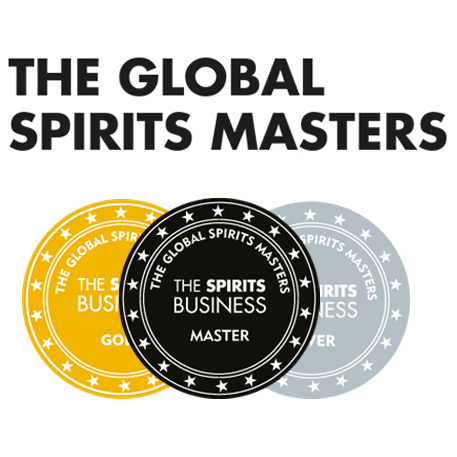 We absolutely love the idea, it has a potential of being an online Mecca for whisky enthusiasts from around the world. Unfortunately the site has one major flaw. 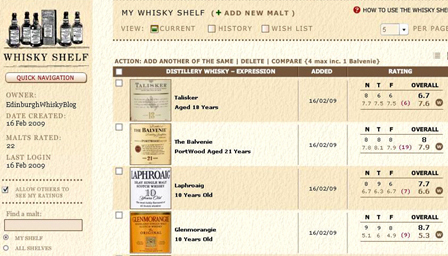 Once you have rated a whisky, you can see the other users who did the same and view their shelves. And that’s it. The site does not allow adding friends, sending messages, e-mails or commenting on whiskies and other people’s reviews at all. At first I thought I was being daft and just couldn’t navigate it, but no, this is just what it is like. A site without networking features? Boring. It’s 21st century, guys! Who needs the ratings anyway? It’s worth to question the very idea of having to rate what is on your shelf. I don’t know if you have noticed but Chris and I operate no-scores policy. We don’t feel the need of attaching numbers to what we sample. The Whisky Shelf doesn’t give you the option of not rating your stuff. 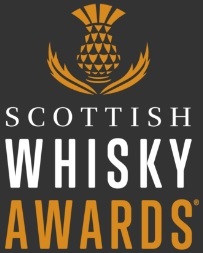 I came across a user who rated a few whiskies “0″ in all categories. How about that, is it fair? Get an account, it’s a useful tool and good fun. But don’t expect to be entertained forever. Unless you are a whisky alien. You can set up an account and start filling your shelf HERE. Good luck. This entry was posted	on Monday, February 16th, 2009 at 6:42 pm	and is filed under Miscellaneous. You can follow any responses to this entry through the RSS 2.0 feed. Responses are currently closed, but you can trackback from your own site.